Apple’s iCloud spells convenience for its users. It contains a number of features and functions which includes syncing devices, downloading content from iTunes Store, taking back-up of mail contacts, photos and much more. Because this service is relatively new, many Apple users haven’t realized its full potential yet. Let us go through a few pointers, which tell you how to make the most of this wonderful cloud-based service from Apple. It is very easy to activate the iCloud service on all Apple devices. If you own an iPhone, iPad or iPod Touch, just tap on Settings, navigate to iCloud option and switch it on and sync anything you want. Similarly, if you are a Mac user, go to System Preferences on your machine and select the iCloud option. After doing this, sign-in with your Apple ID and password and set all the things which you would like to sync. Simple! As an Apple device user, you get 5GB free storage with your Apple ID. Let’s find out how you can make the most of this storage and manage it well. This will show you all your saved items like file backups, games, contacts and other documents and you’ll know how much storage space is left for your use. Once you have access to your old backups, you can delete the files you don’t want anymore and free up space. Additionally, you can purchase extra storage space online and backup more files using iCloud and use it as your own virtual storage device. iCloud makes it possible for you to automatically download apps, books and music on all your devices at one go. If you are a Mac user, go to iTunes Preferences and change the settings and allow your machine to automatically download Music, Apps and books from iTunes. On the other hand, you can activate this on your iPhone and iPad as well, by going to the Settings option and selecting the Store option there. Now you need not plug-in your iPhones and iPads to your desktop to upload and view photos. Just use Apple’s Photo Stream feature and sync your photos across all your devices. The process is quite simple -the moment you take a photo with your iPhone or iPad, it automatically shows up in iPhoto on your Mac machine. All you need to do is activate Photo Stream under iCloud settings on your device. Happy clicking! With Reading Lists feature, you need not rush through articles, news, blogs et al. This feature helps you save web content on your iPhones or iPads and read them later. All you need to do is go to Settings and check the Bookmark option. This will help you sync all your bookmarks and Reading Lists across your Apple devices. 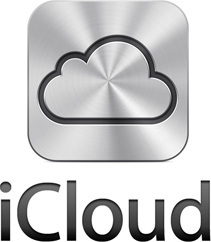 These are some of the must-know things for Apple users to make the most of the iCloud service. Apart from these, you can use this cloud based service from Apple for many other purposes.